An engaging comedy about an undercover investigation at a beauty pageant, Miss Congeniality offers a reasonably fresh premise and a committed Sandra Bullock performance. 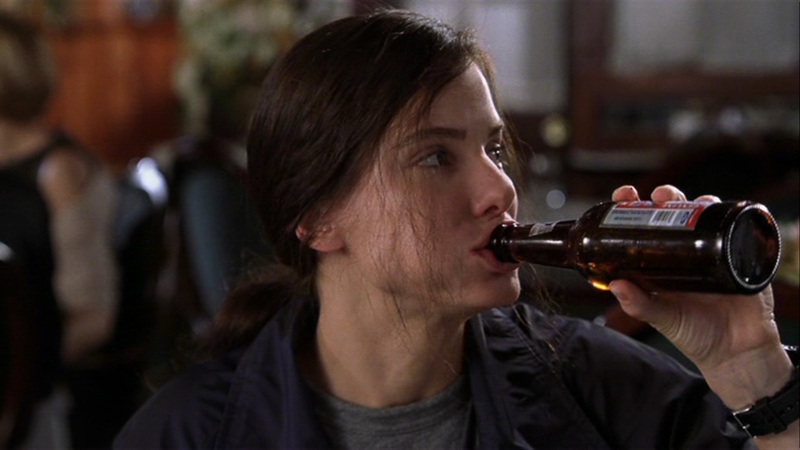 A tough tomboy as a child, Gracie Hart (Bullock) is now a dedicated FBI agent with no life outside her career and no social skills. After disobeying orders and botching a bust of Russian gangsters, Gracie gets into trouble with her supervisor Harry McDonald (Ernie Hudson). Meanwhile her colleague Agent Eric Matthews (Benjamin Bratt) is assigned to head a task force trying to prevent a domestic terrorist known only as The Citizen from carrying out a new attack. Intelligence points to an upcoming Miss United States pageant in San Antonio as the likely target of the Citizen's next attack. Eric recruits Gracie to go undercover as Miss New Jersey to try and disrupt the plot and unmask the perpetrator. Pageant director Kathy Morningside (Candice Bergen) and her show host Stan Fields (William Shatner) are none-too-pleased that the plain-looking Gracie is being forced upon their competition. Kathy appoints Victor Melling (Michael Caine), a consultant to pageant aspirants, to scrub Gracie into some sort of competitive shape. Gracie struggles to adopt a new glamorous persona while trying to piece together clues to uncover and stop the threat. Directed by Donald Petrie and produced by Bullock, Miss Congeniality is a compact comedy that mostly works thanks to better-than-usual array of characters and some wry social commentary. The stream of laughs is steady, and a lot of the humour is self-deprecatingly delivered at the expense of Bullock's fish-out-of-water character. And with the likes of Caine, Bergen, and Shatner in key supporting roles, there is plenty of talent to carry the weight of the film. The Pygmalion-like relationship between mentor Victor Melling and pupil Gracie Hart allows the film to explore a substantive side-quest with many laugh opportunities. Gracie never cared to be anything other than a cop, and Victor faces the challenge of his life unearthing an alluring woman out of the red-meat-eating, beer-swilling, gun-toting FBI agent. The film also nudges Gracie towards better understanding a world that she never cared for, and through friendships she develops with the other contestants, she starts to gain a modicum of appreciation if not respect for women who care about their appearance and their personality, and are not just single-mindedly focused on careers. The film includes shallow romance elements, with Eric gradually finding the courage to express some feelings towards Gracie, and he is helped along by her stunning physical evolution from grungy one-of-the-guys to pageant beauty. Miss Congeniality may not be a stellar performer but she does earn a solid place on the podium.